Oh Munich... or Ming-Ah if you happen to have a dialect so thick that words completely change in your mouth somehow (the earlier post with Roland demonstrating proper pronunciation of Munich). It had been awhile since Isar 148 had brought us in to town, and we finally broke them down and they let us come and play. We love to play with Roland and Birgit of Isar 148, they are professionals and so playful onstage. We always have a great time being silly onstage and talking serious offstage (we are also talking silly with them offstage too). 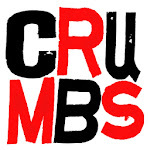 The CRUMBS show at “Theatre... Und so Fort” was so fun to do. The venue is now one of my new favourites to play (right up there with the Ratibor, the TiG7 and the theatre that you play at...). The story started with a babysitter to a little girl who pretends to be a princess and of course loves horses (she wants a purple horse). The married couple who hired the babysitter are going to the theatre, but of course the husband doesn't want that kind of boring “faggy” culture. We see two guys who work in a flea market selling their mountains of crap. The babysitter invites over her teen-aged boyfriend so that they can make out, but he brings his older brothers condom and they are determined to become adults and “do it”, if only they knew how. The Husband and Wife end up fighting because he won't keep his mouth shut at the play, but then he gets sucked in and at the end of the play can't believe the outcome and forces the actors to fall in love (embarrassing yet beautiful). The boyfriend and girlfriend end up “sort of” doing it. The little girl asks what “popping a cherry” means, chokes on a toy, boyfriend gives her the Heimlich maneuver while naked just as the husband and wife return from their date... and we didn't even mention the cup at the flea market from the seven hundredth century! Note: We had several people after the show ask us what "popping your cherry" was... oops. I should mention and apologize for how behind this blog is... and always is. Just so people can be confused, CRUMBS is currently in Italy, we were just France, before that we were in Wuerzbuerg, Karlsruhe and Ljubljana, Slovenia... The next post will probably be about Ljubljana.